After having escaped an ambush devised by his barons in western Normandy, William was to challenge them in the summer of 1047, during the first pitched battle of his lifetime. After leaving Argences, where he took up supplies, the young duke headed for the Val ès dunes plain, where he joined forces with his overlord, Henry I, King of France, who had come to his rescue. The conspirators met with total disaster. Many of them were chopped to pieces or drowned in the Orne whilst attempting to cross the river in their hasty flight. The young duke’s victory was to seal his authority over Normandy. In October, he gathered Normandy’s aristocracy in Caen and proclaimed the Truce of God. 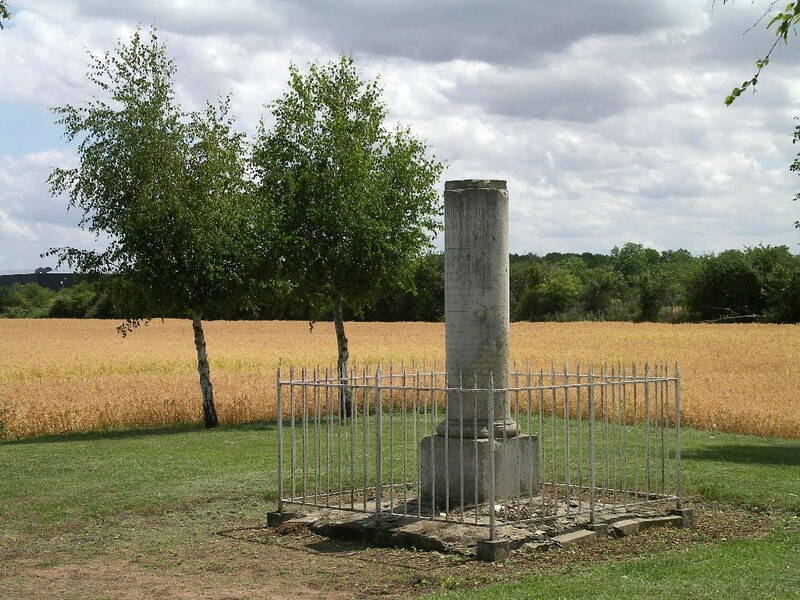 In 1959, a further stele was erected in Bellengreville, opposite the battlefield. Site aménagé sur la commune de Bellengreville en bordure de la D41 (accès par la D613 Caen-Lisieux) : table d'orientation avec vue sur le champ de bataille, coin pique-nique (d’ici 2012), aire de stationnement...C'est l'une des 8 stations du circuit d'interprétation de la bataille de Val ès dunes qui emmènera le visiteur sur les lieux empruntés par les belligérants en l’été 1047 ou sur les sites commémoratifs de Vimont et Bellengreville.